Still now FII's are pumping money inside india due to the depreciation of the the USD Index. Thought not much fundamental improvement visible in both of the countries( India, America). 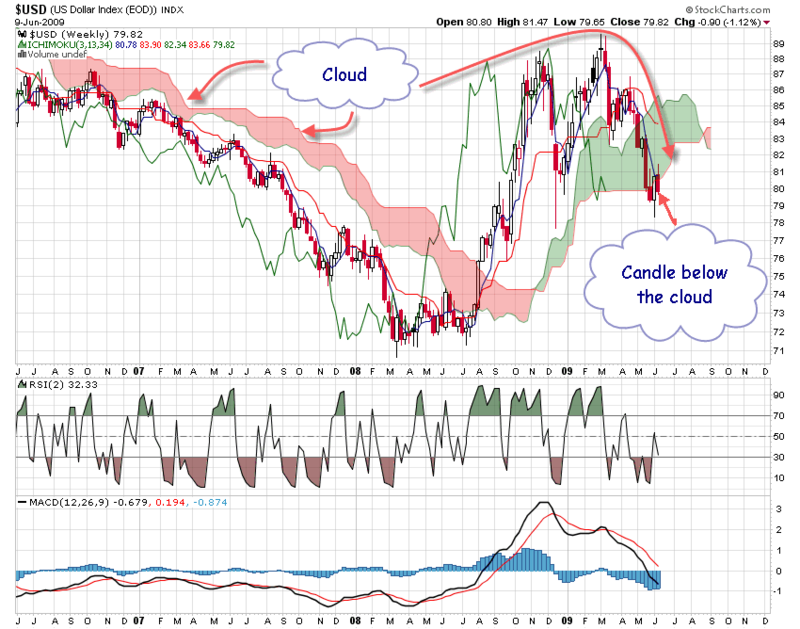 And the weekly charts states that USD index is likely to close below the cloud for the week. Which indicates a high probability of the USD index to broke its leg. May be FII's will be more interested in Installing their money in Asian countires. For the condition to be valid USD Index should not shoot once again above 82 levels where Weekly resistance comes in. if dollar has a steep fall from current levels.